Supplements: At Calton Nutrition your total satisfaction is our main priority. That is why we offer a 30-day unconditional money back guarantee (Shipping & Handling will not be refunded). This means you can try any of the Calton Nutrition brand products and if you are not 100% satisfied, for any reason, simply return it to us for a full refund with in 30-days. 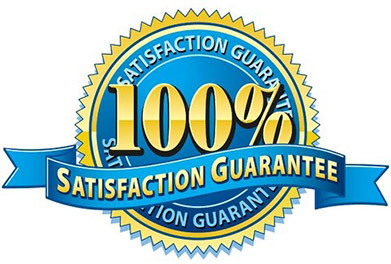 (excludes nutreince sample packs, see below*) But it doesn’t end there, we are so confident in the quality of our products that we are extending our 100% Satisfaction Guarantee and adding on an additional 70-day in-store credit policy. Meaning, even after the 30-day money back guarantee is over, if for any reason you are not completely satisfied within the first 100-days simply return your unused products to us for a full in-store credit. (please note: no cash/credit refunds will be issued after 30-days – only in-store credit. No in-store credit will be issued after 100 days from purchase date. Books, nutreince Sample Packs*, SpectraCell Lab Tests, CMS Application Fee and Board Certification Packages: Sorry, there are no refunds on books, nutreince sample packs, SpectraCell Lab Tests, CMS application fees or the CMS Board Certification Package. Customers/CMS/Retailers: To return an item, please contact our customer care department at sales@caltonnutrition.com to inform them of your return. Then simply mail us back the item(s) you would like to return. If we receive your authorized return within 30-days of purchase: we will credit you back your full purchase price of the item(s) (shipping/handling will not be refunded). Refunds will be issued to the same credit card or PayPal account that was charged. We are not responsible for lost or stolen items, so we recommend that all returned items be sent using a delivery confirmation to ensure proper delivery. If we receive your authorized return after 30-days from purchase: we will issue you an in store credit for the full purchase price of the item(s) (shipping/handling will not be refunded). No in-store credit will be issued after 100 days from purchase date.